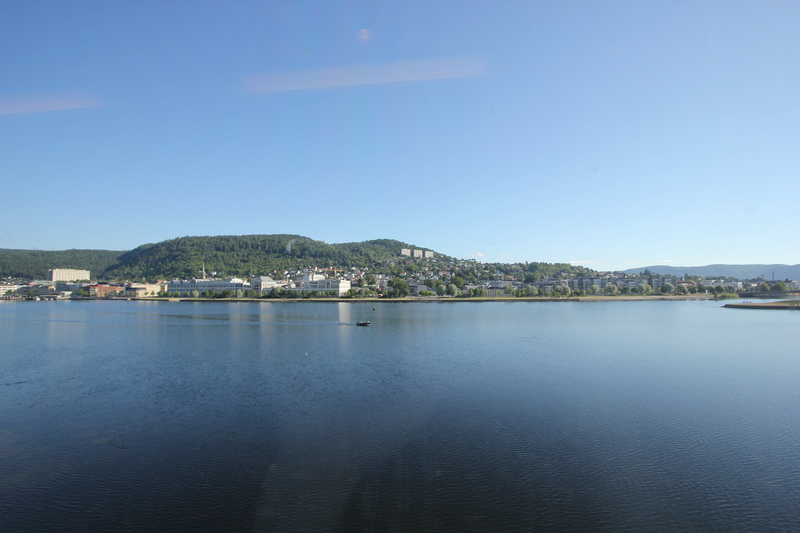 On Day Four of our Norway trip we left Oslo, heading west into the fjords. Here comes our train – bang on time! We weren’t travelling all the way to Bergen today. We were getting off at Voss, the adventure capital of Norway. We brought books for the journey but we didn’t read them. It was a five hour journey of pure beauty. 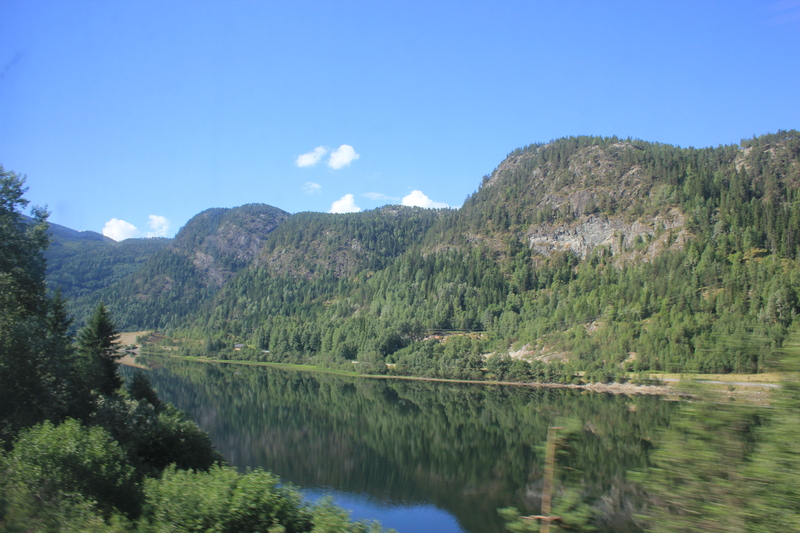 The train climbed slowly out of Oslo, up into fjord territory, reaching about 3,000 feet before starting its descent towards Bergen on the west coast. 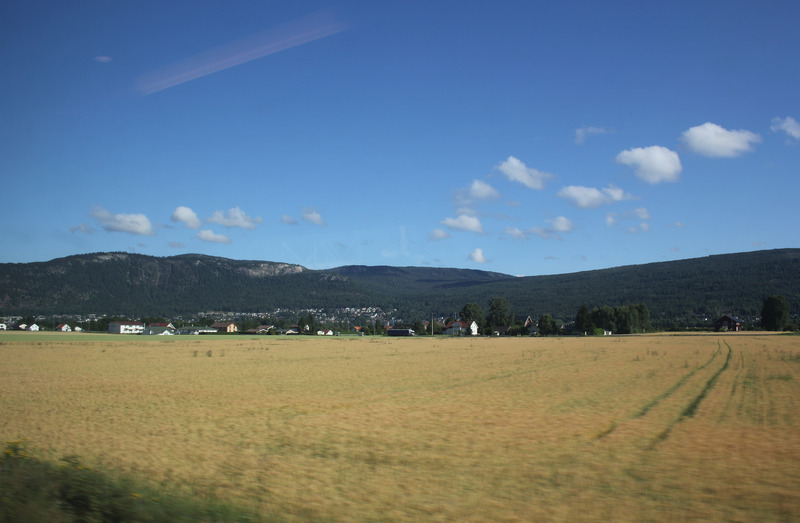 We left Oslo behind and travelled through rolling fields with hills rising gently behind them. The fields soon gave way to lakes and the terrain grew more rugged. We saw tiny communities tucked underneath the hills. 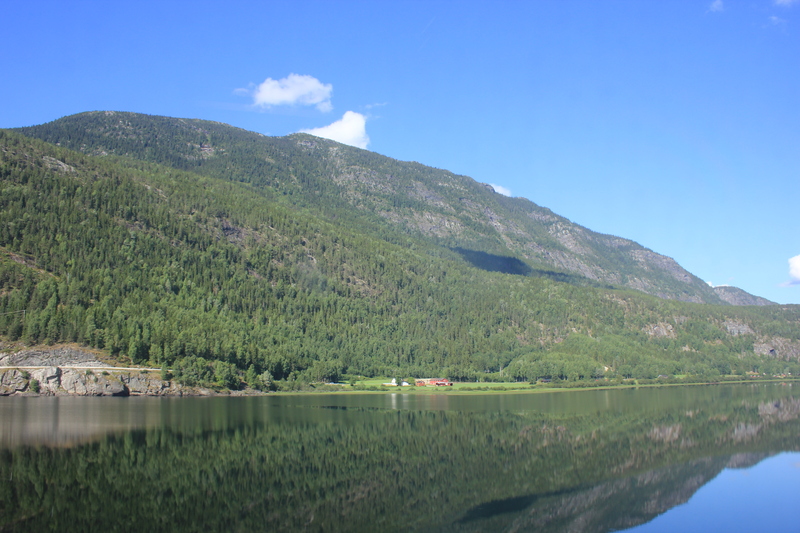 The fjord waters were crystal-cut, reflecting the scenery like a mirror. We soon started to climb out of one climate zone and into the next. The fir trees thinned out and the vegetation grew more sparse. We saw our first glimpse of snow in the distance. And then we found ourselves properly amongst it. The railway snaked its way around the lakes and hills as much as possible, but more and more had to be routed through the terrain rather than around it. We passed through tunnel after tunnel, sometimes emerging from one only to find ourselves heading into another a few seconds later. More often than not the train would start by passing into a grey-clad structure enclosing the railway line before plunging into the tunnel proper. These grey housings had windows and gaps in them so as to allow the passengers to continue to enjoy the landscape. And what a beautiful landscape it was! Eventually we crossed the watershed and started our slow descent. We left the snow behind and joined the fir trees again. 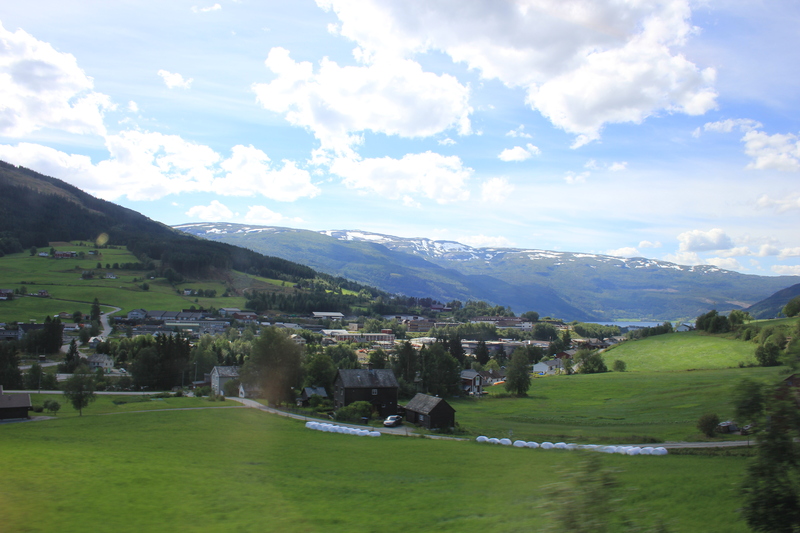 Soon afterwards we entered Voss, and so ended the best railway journey I have ever experienced. 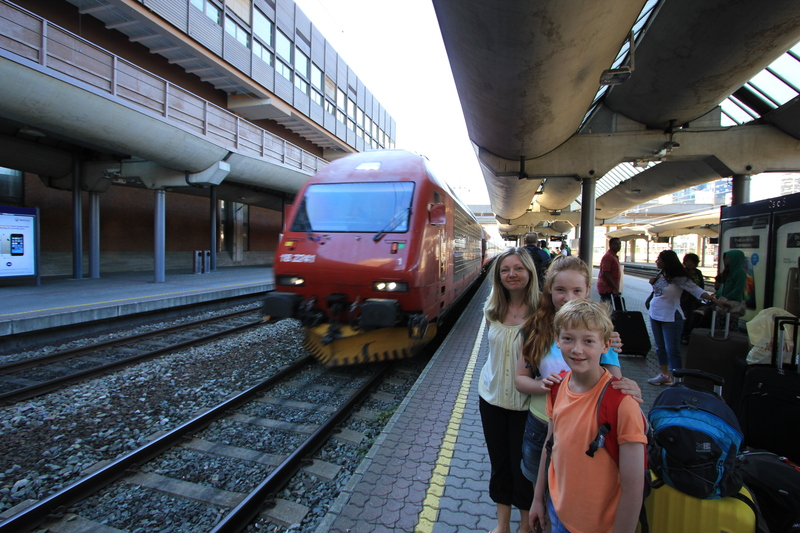 This entry was posted in Norway and tagged Bergen, journey, Norway, Oslo, railway, railway journeys, travel, Voss. Bookmark the permalink. This does look like a fantastic train journey. 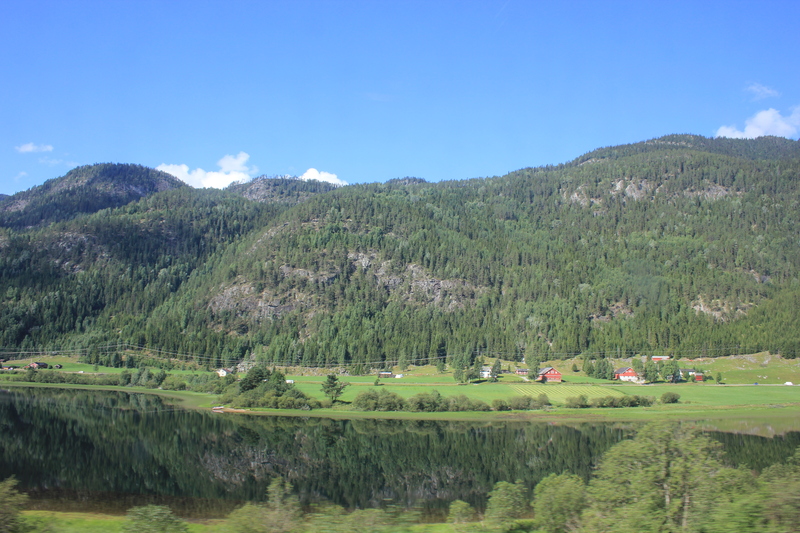 What a great train ride – great pictures! I took my family through the Rocky Mountains by train in November of 1997 and the scenery was breathtaking. After seeing your photos of Norway I’m now trying to talk my wife into seeing it for ourselves. 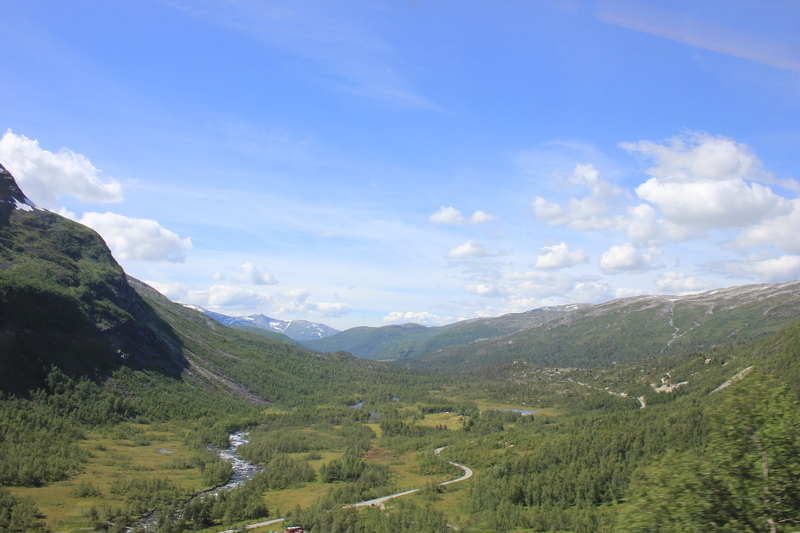 I did part of this train journey from Bergen to Myrdal (twice, in fact, once as part of Norway in a Nutshell). It is indeed lovely and very varied. On the second visit I walked down the valley from Myrdal to Flam (an amazing walk, well worth it). 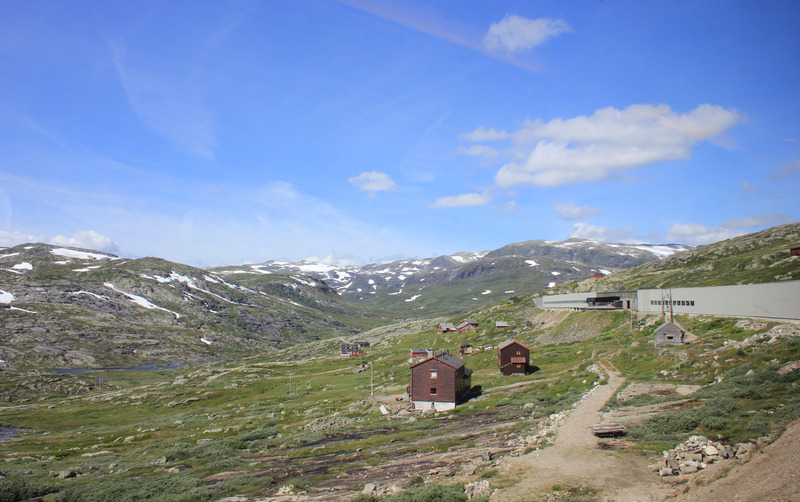 Myrdal (where you change for Flam) is an unusual station in that it has no road access, but it is the start of the track down the valley to Flam. Next year I hope to go back and do the whole length from Oslo to Bergen (perhaps with a stop over in Voss). I still have plenty more to go though. 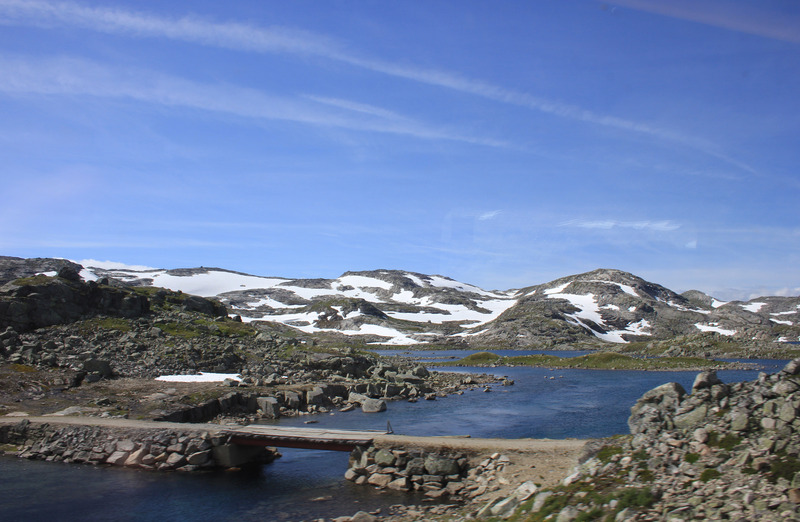 Hi JC – we did the Norway in a Nutshell tour from Voss, so it was a bit of tourist meat trade – enjoyable but packed and we were herded from one place to the next. I envy you the walk! 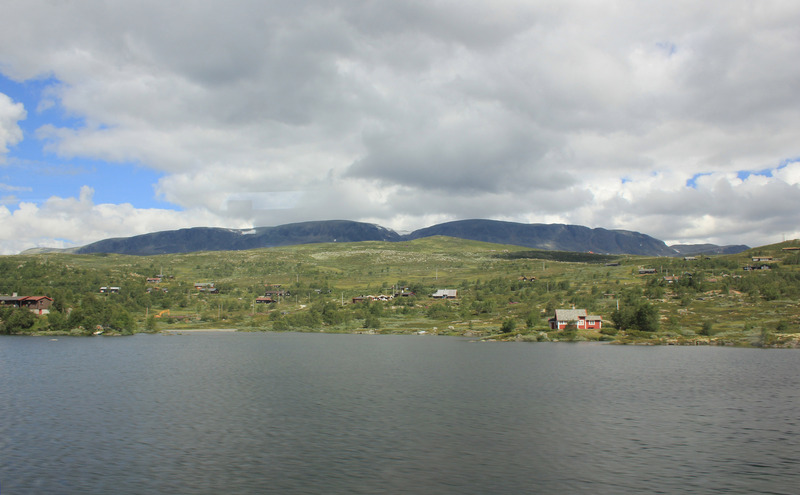 I can’t recommend Voss highly enough – a stopover is well worth it but you’ll need a few days! The Fleischers Hotel is the place to stay. It’s a bit pricier than other hotels, but a fantastically characterful place. Now I’ve travelled the whole length from Oslo to Bergen. 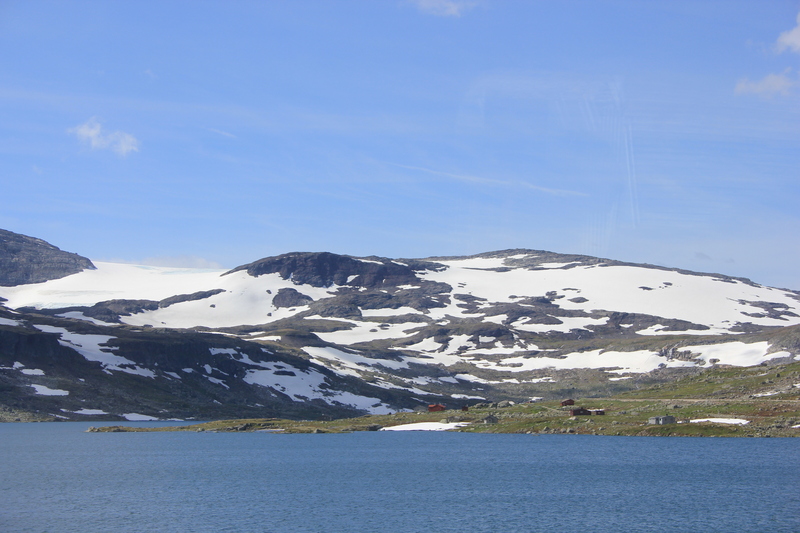 I stopped in Finse (the highest station) and Voss (staying at the Fleishers Hotel). Very enjoyable. I was quite surprised to see how much snow there was in June. I stopped off at Finse and it was 14 degrees. But there was still snow all around, 2-3ft deep.